Athens Home is headed by veteran Realtor Daniel Peiken. 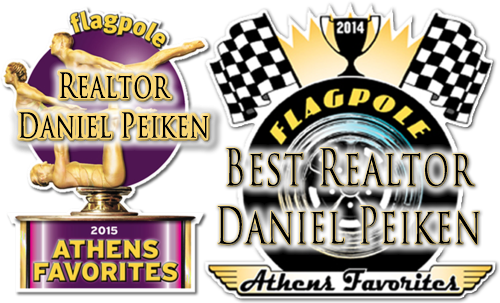 Daniel was voted one of Athens’ Favorite Realtors in 2014, 2015, 2016 and 2018 by the Arts and Entertainment weekly, Flagpole Magazine. Daniel has been selling Real Estate in Athens for well over 18 years and is still going strong. He’s helped hundreds of buyers find and buy their perfect home. He guides them through the buying and closing process until they get the keys in their hands. Daniel has helped buyers find their first home, second home, investment property or whatever it is that they are looking for. He’s helped hundred’s of sellers sell their homes and land as well. Daniel focuses on being very patient with his clients, listening to their wants and needs. He take the stress out of buying and selling since he is very organized and has decades of experience in working with people. 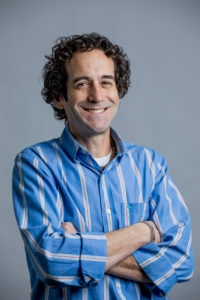 Daniel understands that although this is the biggest investment most people make in their lives, he will make finding and buying or selling your home an enjoyable experience. He always takes the time to make sure you, his clients, find the perfect home. Athens Home specializes in the in-town Athens Area, including: Normaltown, Boulevard, Cobbham, Hancock Corridor, Pulaski Heights, New Town, Downtown, the Chicopee/Dudley Area, Forest Heights, Homewood Hills and anywhere inside the Athens loop. Athens Home can also help you buy or sell your property in Clarke, Oconee, Madison, Jackson, Oglethorpe, Barrow, Walton, Gwinnett and Greene Counties. Contact us today and let us go to work finding your ideal Athens Home. We have connections with Realtors all over the world. We can help you sell any property anywhere.